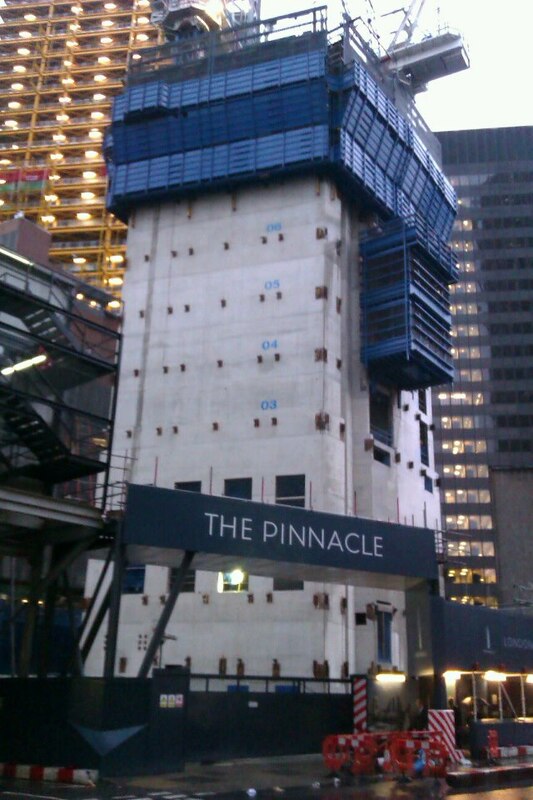 Last week it was reported that the Pinnacle is again delayed in construction, that it may never be completed, and that consequently the current new building phase across the City of London is in trouble. The Shard is completed but unoccupied, so the headlines screamed. London is building white elephants that will either never be completed, or will always remain unoccupied. And the Pinnacle is the paramount example of this, and has been renamed the Stump by locals. Well, I’ve got news for the critics and the doomsday merchants. They are wrong. The Stump shall arise, London will continue to build a new skyline, and the City will remain a financial centre for a long time yet. First let’s answer the charge that current buildings will not be finished. It’s true the Pinnacle is on hold, and has been now for many months. One official compared workers on the site to dancing the hokey cokey – they’re in, they’re out, they’re in, they’re out! But the Pinnacle has always had problems, due to it not having secured finance, and not having any guaranteed occupiers once it’s finished. But other buildings currently being built don’t have the same problems. 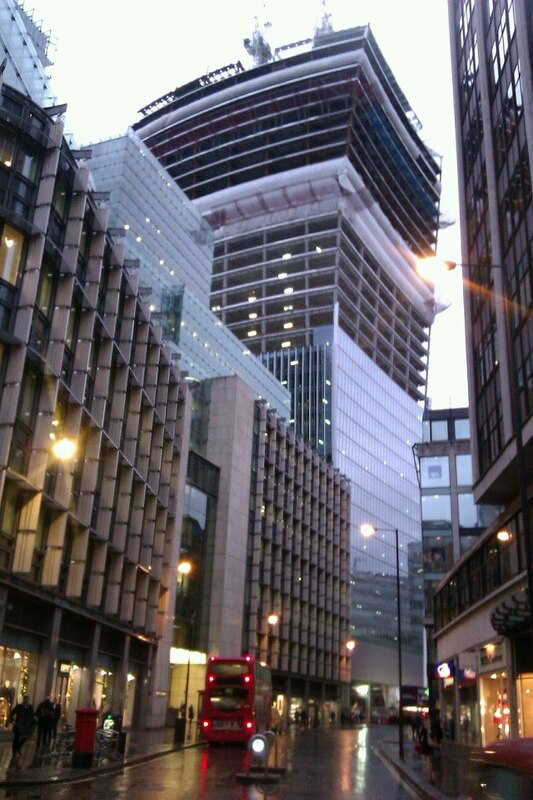 The Cheese Grater and the Walkie Talkie are both moving on apace, and still due to be opened in 2014. Last week I took the opportunity whilst in London to take pictures of all the relevant sites. Whilst it’s true that the Pinnacle Stump has not grown at all recently, you can clearly see the progress being made on the other sites. So just because the Pinnacle is experiencing problems being built, doesn’t mean the other building projects will not be completed. Now for the second charge, that all these buildings will remain unoccupied. Apparently the Shard has not yet let out any of its office space. But recently completed in the City, the Heron Tower is at around 40% occupancy, and the Broadgate Tower at around 50%. And the fabulous new Willis Building, finished in 2008, is fully let as a single occupancy building. All these buildings have been able to attract clients, and I have no doubt the Shard will do the same over time, as will the Cheese Grater and the Walkie Talkie. The key point is, over time. When One Canada Square was completed at Canary Wharf in the early 90s, it took years to slowly gain occupants. But it did so over time, and is now one of the most prestigious addresses in the capital, and has ushered in a new era of skyscraper building in Canary Wharf. 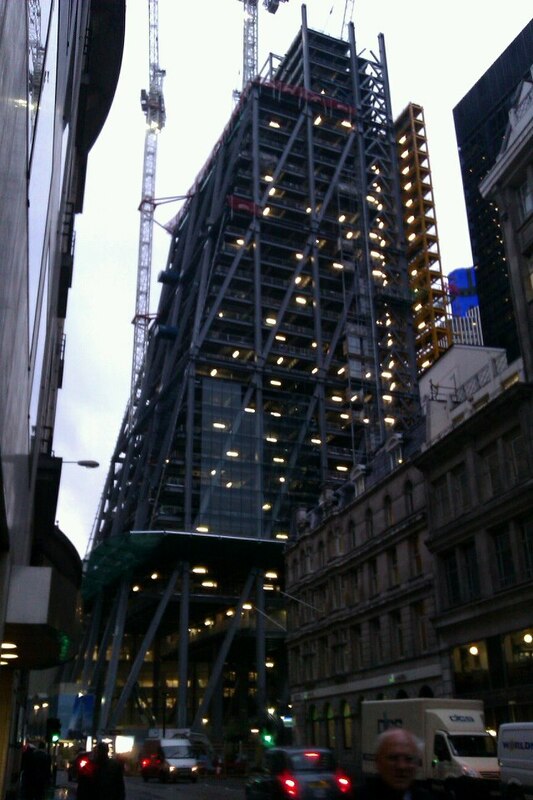 The current recession has affected the City of London. But London has endured through countless recessions over the last 2000 years, and has always actually emerged stronger. London will remain a financial centre for a long time into the future, and there will always be a consequent need for prime office space in the capital. New skyscrapers will continue to be built over the coming years. A one or two year delay is nothing compared to the lifetime of a skyscraper built to last for decades. So anyone alarmed by recent news, and praying that London remains as a place to do business, has nothing to fear. The stump shall arise, and turn into the Pinnacle. The prayer need is not that London remains as a financial centre, but that it becomes a more responsible financial centre, with honesty in its banking, and transparency in its tax receipts.